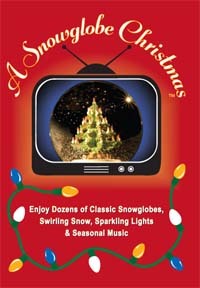 We have enjoyed our snowglobe DVDs this year with it's lovely music and lively lighting while we wrapped presents. Our daughter used hers as a backdrop for her Scottish-Highland Games Association meeting and Christmas party. And my 10 year old grand daughter, who collects snowglobes, uses hers during December as a go-to-sleep-video. Thanks for coming up with such a creative idea.